A compartment with double zipper closure. Top hook displays the kit from the shower or towel rack and tucks away when not in use. 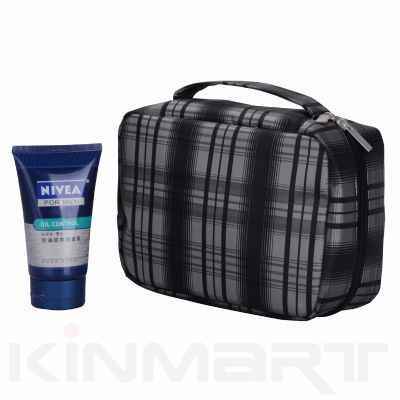 It's a very well made and well designed toiletries kit.